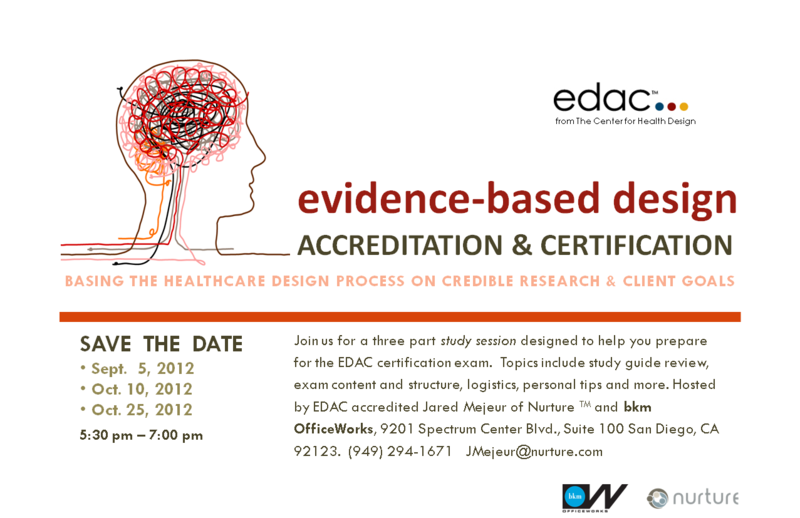 Join us for a three part study session designed to help you prepare for the EDAC certification exam. Topics include study guide review, exam content and structure, logistics, personal tips and more. Hosted by EDAC accredited Jared Mejeur of Nurture TM and bkm OfficeWorks.